Family Meal Time… from Sacred to “Someday, Maybe….”. The 21st century is increasingly fast-paced and hectic. Strangely, an aspect of family life which was once sacred half a century ago has come to be regarded today an old-fashioned impractical luxury; sit-down family dinner. Parents and children both have crammed social calendars, making it almost impossible to enjoy regular “family dinner.” However, new research indicates that children who enjoy a sit-down family dinner at least four times a week have a lower risk of obesity, fewer eating disorders, fewer drug or alcohol addictions, and even have an increased chance of graduating from high school. In the past, families used the opportunity of dinnertime to catch up with each other’s lives through conversation. We didn’t have the ever-present distraction of smartphones, tweets or texts. But consider putting them aside, and engage your children in authentic conversation. If you do this you will not only teach them how to listen; you might learn what they really think and feel about current events in the family and the outside world. The research is in. Family dinner teaches valuable interpersonal skills. It might surprise you to learn that regular family dinner conversations can increase your children’s vocabulary and reading ability. Research shows that these two benefits are enjoyed by all sorts of families, regardless of their income or economic status. Family dinner allows all family member to share news about their day. Ask everyone to check in. Discuss the events of the day. Express an interest in other’s lives. Model curiosity. Discuss current events in the news. But bring up news topics that are fitting and proper for family discussion. Model engaged listening. Encourage your children to pay attention respectfully. Encourage participation. Don’t patronize. Encourage your kids to stretch. Congratulate them on interesting questions and thoughtful answers. If possible, have multi-generational family dinner. It might be fun and educational for kids to ask questions and consider how many aspects of life that they take for granted have changed from over time. Research suggests that regular family dinners have a sustained positive impact on human development, impacting positively on motivation, personal identity, and a healthy self-image. Research also shows that children who enjoy regular family dinners are more likely to comprehend, consider, and comply with parental expectations. The more time a child spends with their family, the less likely they are to engage in anti-social or acting-out behaviors. Regular family dinners protect the mental and social health of children. Turn off all media radio, smartphones, computers and television during family dinners. Remember to make conversation bright and happy. Avoid unpleasant or worrisome topics. Make sure that family dinner clean up is a group task. Don’t expect mom to do all the work. Watch out for the gender role lessons that you might be silently communicating. Spread the work around. Alternate who cleans the table, does the dishes, etc. They way you consciously eat as a family today will probably be how your grandchildren will tend to eat with their parents tomorrow. 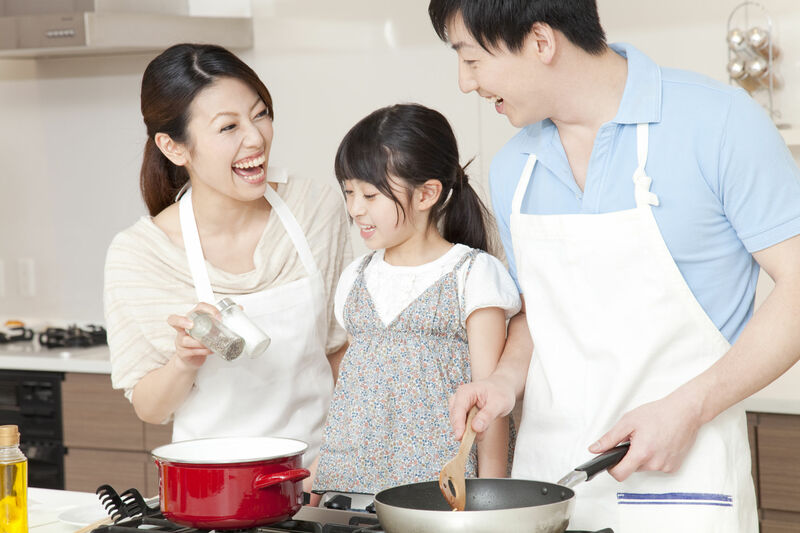 Families that consciously eat together also tend to engage in more mindful meal planning. Research show that families that consciously eat dinner together also tend to drink less soda, and eat less fried food and less processed food. Regular family dinners are also correlated with increased consumption of vegetables, fruits, protein, and calcium. Healthy eating is essential for proper brain and nervous system development. Mindful eating will pay benefits over time, and teach your children healthy habits that they will pass down to future generations. Why not try cooking together and ask everyone to help in some way with meal prep? Experiment with learning to cook new recipes that you’ve never tried before. Use cuisine as a way to teach your kids about culture and history. Rotate “favorite” meals of each family member. Make them regularly. Adapt old family recipes. Tell stories of food and family from your childhood. Crack open a cookbook and try something totally new! 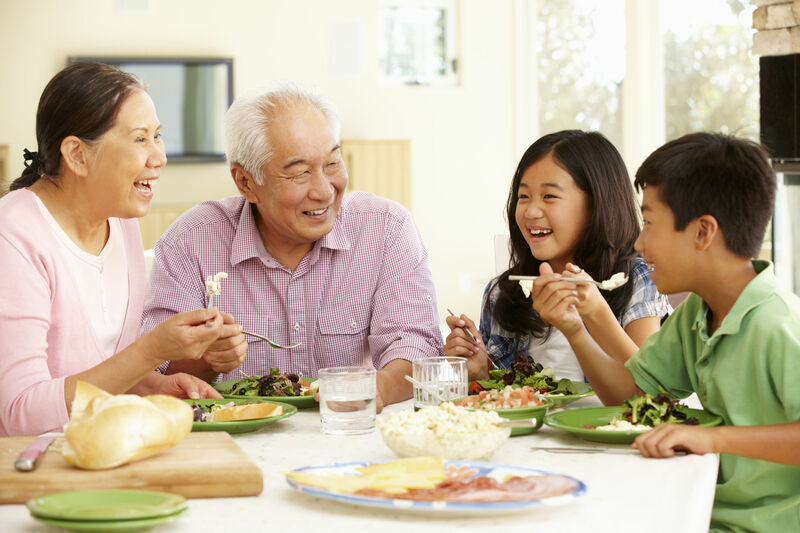 Having regular family dinner may be an abrupt shift from how your family eats today, but the benefits in emotional, mental and physical health are confirmed by solid research. Why not take a hard look at how your family eats today and ask yourself… Can we do better than this?